Yola O’Hara, founder and director of digital agency Visually Explained, has been invited to speak at the British Computer Society, the Chartered Institute for IT in May and September 2018. Based in Swindon, Visually Explained is a social media, infographics, and graphic design outfit. Providing services to businesses across Wiltshire, Gloucestershire, and Oxfordshire, they have helped enterprises across the region to benefit from their expertly honed techniques and concepts. Already an accomplished businesswoman who had worked with various international corporations, Ms O’Hara chose to focus on her passions and build a company that played to her strengths. Specialising in social media outsourcing, based on visual content marketing, Visually Explained takes a range of complicated concepts and turns them into posts, graphs, maps, and infographics that help to simplify ideas and make them accessible to the consumers they target. Social media is the most successful form of communication in the world, and one that Ms O’Hara has years of experience in. It is this that led to her initial invitation to present to the Chartered Institute for IT in January, despite not being a member herself. Ms O’Hara’s earlier presentation focused on infographics and data visualisation. 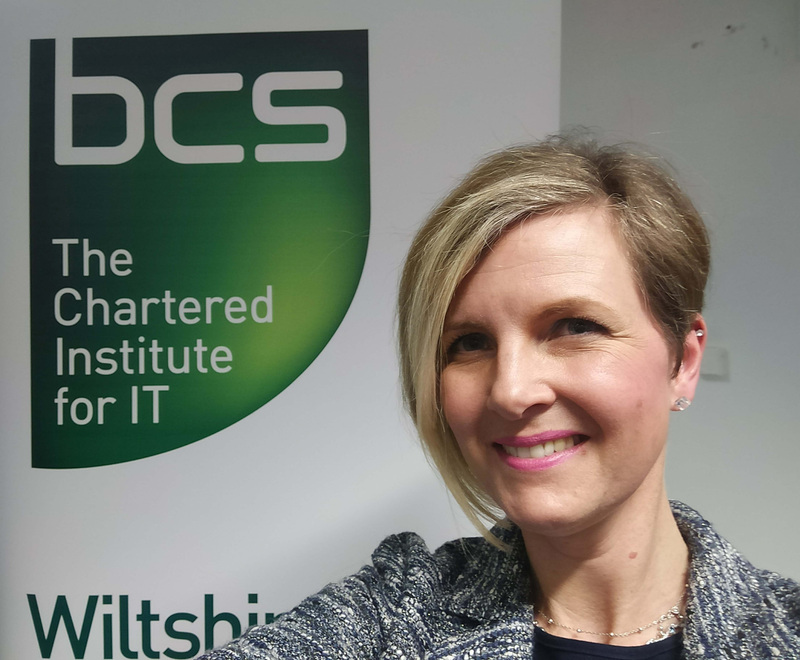 Speaking to members of the Swindon branch of the Chartered Institute for IT at St Joseph’s Catholic College, she received much acclaim, with feedback suggesting that her insights were “thought provoking” and had “set minds in gear”. Covering the breadth of human history before peaking in our modern day and age, Ms O’Hara’s talk espoused on everything from mind maps, infographics to social media analytics dashboards. Following the success of the Swindon presentation, Ms O’Hara was asked to repeat it at BCS Salisbury branch in May 2018. She will also be returning to BCS Swindon in September 2018, speaking at their AGM, this time with a focus on: ‘The dark side of social media’.